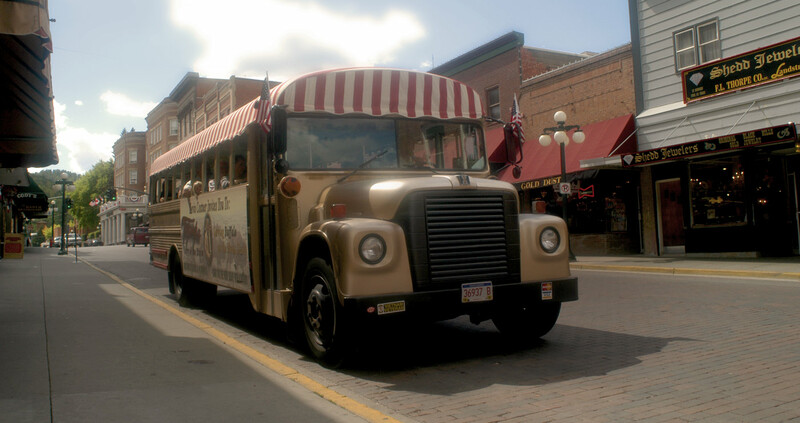 Preferred sightseeing tour of Deadwood and for good reason; great viewing from open air bus and endorsement by Lawrence County Historical Society. Includes tour of city, resting place of Calamity & Wild Bill and spectacular view from Mt. Moriah. One-hour narrated! Entertaining mix of humorous facts, history, and adventure. Departing from Visitors Center, 3 Siever Street 9:30, 11, 1, 3 and 5 (times may occasional vary).